It had had battery leak in somewhere its lifetime, but nothing was damaged bad enough and cleaning switch & battery contacts fixed it. 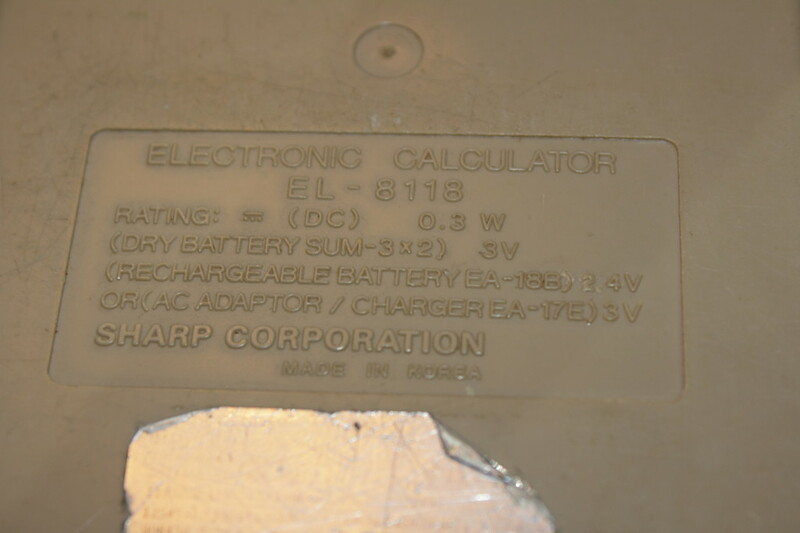 It has wear and scratches, but is still sturdy and beautiful calculator. Green VFD display has 9 digits, first rightmost digit is used to show signs – negative, C for error and . for memory. Calculator has the full range from -999999999 to 999999999, and rounds decimals automatically. Made in Korea, build quality acceptable. Power hungry when compared to present electronic abacus. But at time VFD displays were best option for low current handheld device, as LCD/LED displays were not cheaply available. 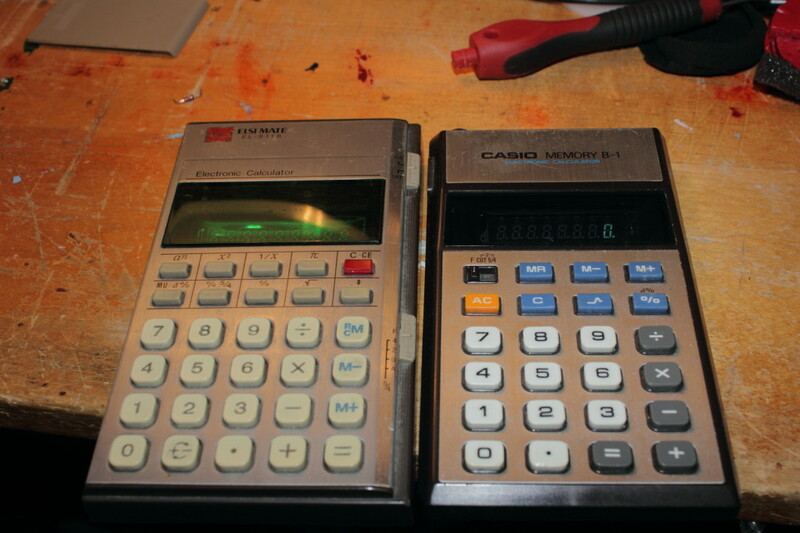 Sharp compared to Casio from same era. 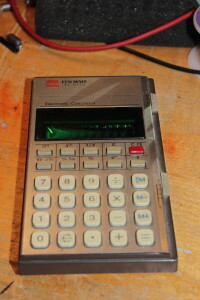 That Casio also had badly leaked batteries, and corner of PCB were corroded away, but I managed to rescue even that poor calculator. I think I like more of Sharps look, no offense Casio. Sharp did borrow buttons from Casio though. Brushed metal and straight lines are De Loreanish. 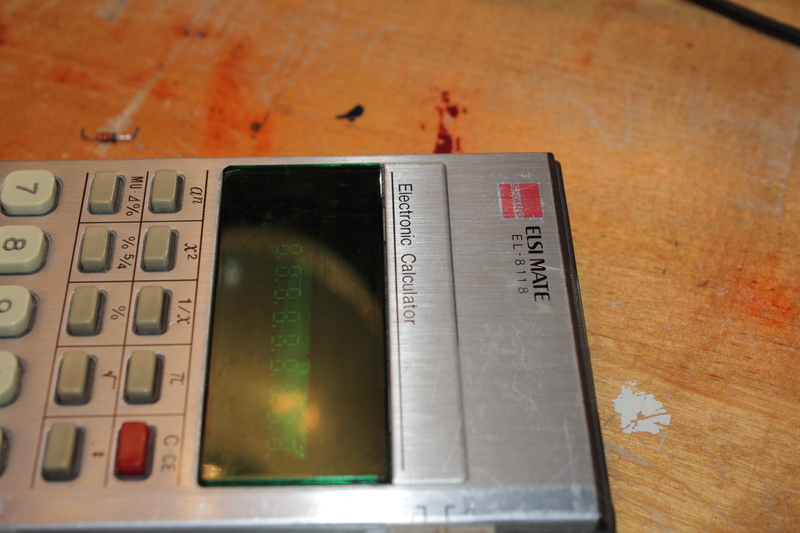 I can’t stand modern curved cheap plastic ***** that even expensive calculators use. Why can’t we go back to this design. 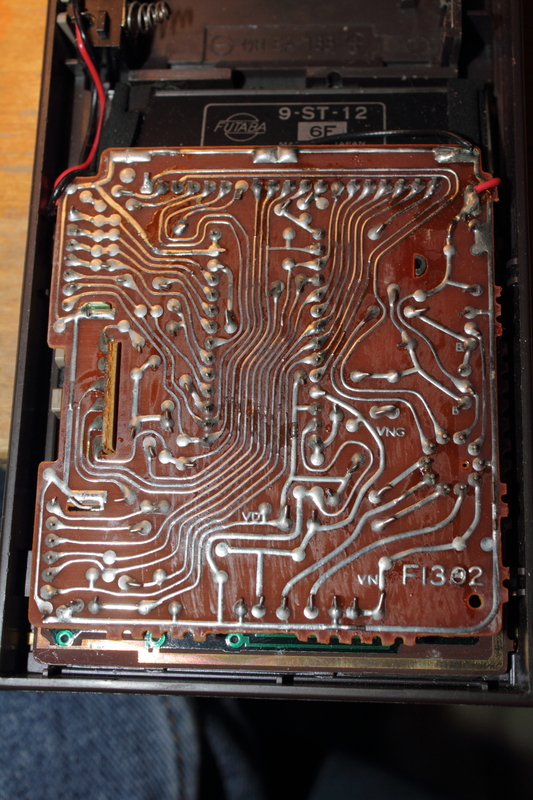 Handmade circuit board. No CAD then. Mainboard is not coated but tined when keyboard-board(not my fault your language is funny) has green conformal coating. 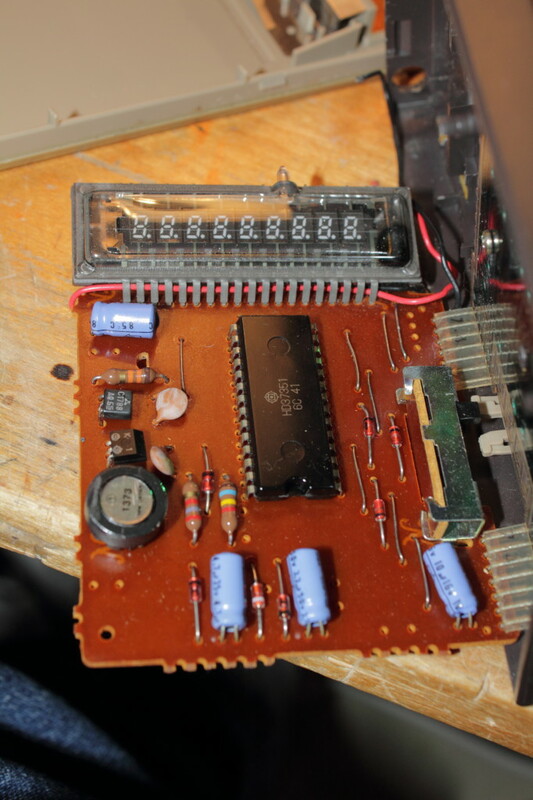 Single integrated circuit Hitachi HD37351 is brains of this little mathematician. Small flyback style transformer (left in picture) droves anodes of VFD display. Not so expensive looking device, right? 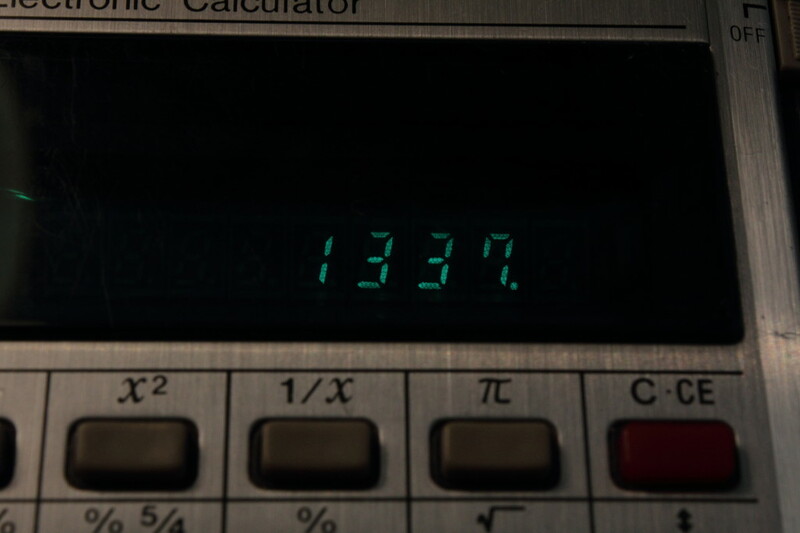 Date code is Japan Integrated Circuit style used by Hitachi and some others is 6c 41 which translates to March 1976. He’s quite mature, don’t you think. 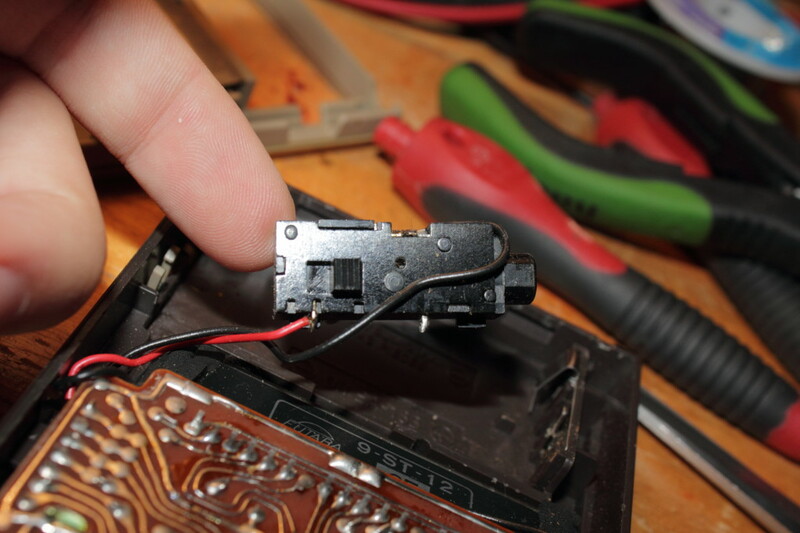 Power switch&contacts unit, switch leaves and battery spring had black corrosion on top of them, washing all parts and filing them solved power problem. 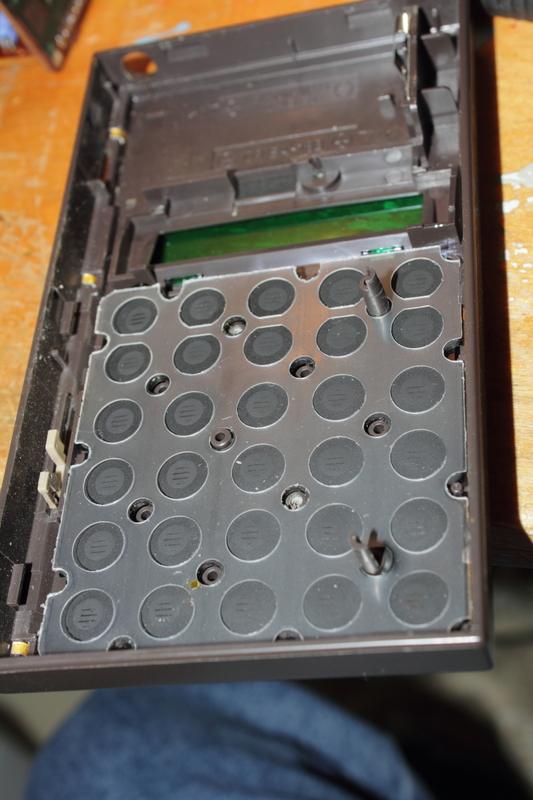 Casing had also some brown marks from leaking dry cells, but isopropyl alcohol removed stains. Also used that to keys, deep engravings were filled with filth from fingers, yuck. Conductive rubber membrane that connects traces on circuit board. I cleaned it too and now buttons make better contact. Under membrane there are spiral spring leafs that support buttons and give nicer feel to them. Sometimes metal fatigues and buttons lose their travel length and can make unwanted button presses. Display looks dark in pictures and flickers strongly if viewed trough live view mode, but is quite bright and strong green looking for naked eye. Not bad at all. 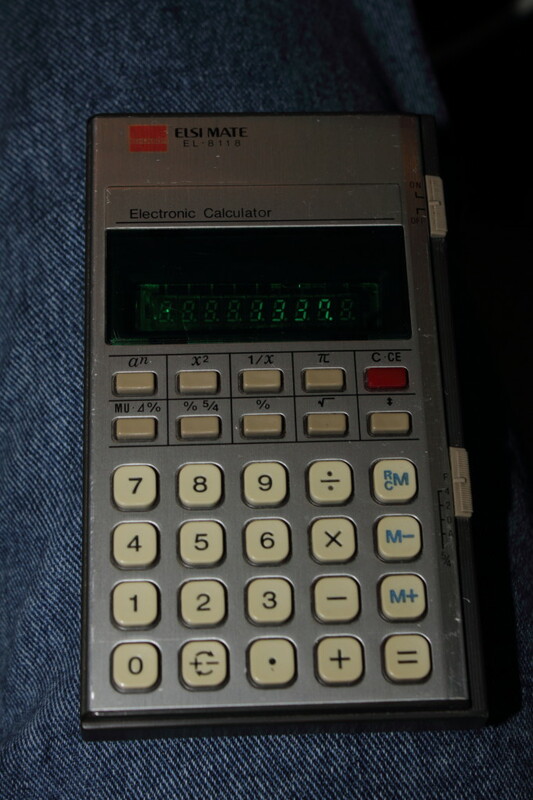 One more calculator to my collection. Could be even used in school, but it lacks trigonometric and some other functions. ← Previous Previous post: Working serial connection!